The Trich Stop Kit gives you everything you need to create a complete, personalized treatment. It teaches you and helps you implement the fundamentals, the knowledge, the attitude, and the behaviors. The Trich Stop Kit has been designed with one aim in mind: to help you stop pulling your eyelashes, eyebrows and hair, seeing the results in 3 months. And once you have these methods and tools in hand you’ll be able to use them over and over again, whenever you need them. 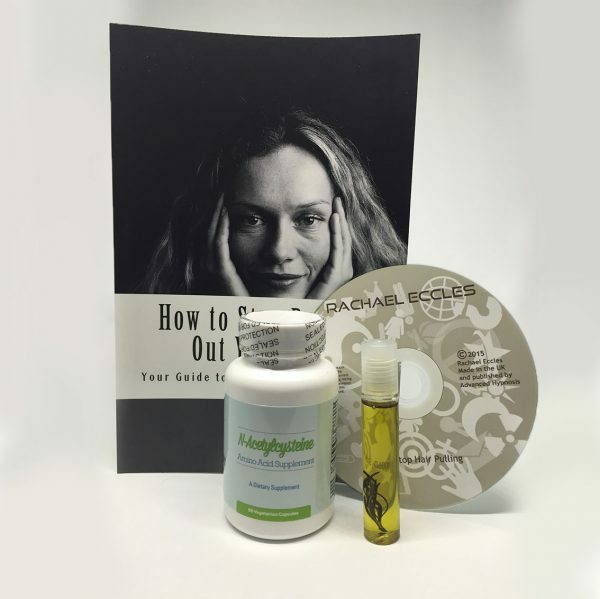 The foundations of the Trichotillomania Stop Kit are based on a positive outlook and using all natural methods and products. We ship worldwide and you can expect your order within 5-10 days. You will have access to digital downloads instantly. Hair pulling, or trichotillomania, is a real medical condition, and needs an effective hair pulling treatment system with various methods and tools to help you beat hair pulling for the long term. The Trich Stop Kit is proven and used by many hair pullers just like you as, an effective hair pulling treatment. 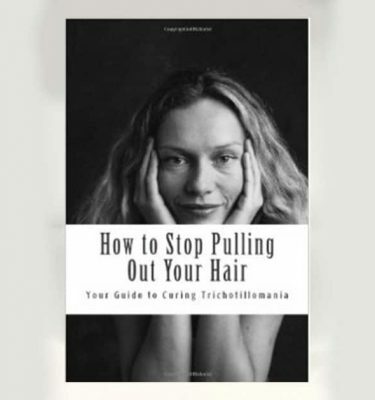 With the Trichotillomania Stop Kit IT IS POSSIBLE TO STOP PULLING OUT YOUR HAIR! Do you ship internationally? I don’t live in the US. Yes, you can. We deliver internationally and the currency will be automatically converted when you purchase. Shipping may take a bit longer than domestic shipping, so consider choosing insured priority shipping in order not to wait too long for delivery. I don’t want anyone to know I’m using your products. We totally understand and have made sure that all of our packaging is discreet. 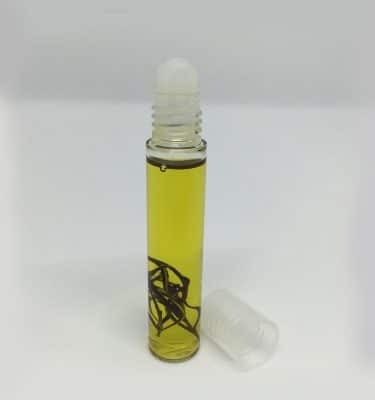 The Trich Stop Oil has no label so that you can use it anywhere without anyone knowing what it is for. The shipping packaging in equally discreet, with no branding or obvious identification. I have sensitive skin. Can I use the Trich Stop oil? The Trich Stop Oil is made of all natural oils, extracts and essences, and has no chemical ingredients, so it is safe for all users. If you any questions about specific allergies or ingredients, please feel free to email us at [email protected]. You won’t need any special equipment; the Trich Stop Kit has everything you need in it. Is the Trich Stop System safe for children? The Trich Stop Oil is made of all natural ingredients, so it is perfectly safe for children. The manual and workbook are written in an upbeat, easy to understand way, and we’ve had a lot of feedback that the system is a good resource for young people. We would recommend that you accompany a child where appropriate and that you read the Trich Stop Parents Guide. Re-lapses may happen, and are part of the process. However with the kit you will have fewer and fewer relapses until soon enough you are completely pull free. You will have the on-going knowledge of how to beat trich as well as how to deal with relapses. And once you have this knowledge you can continue to apply it whenever you need it. I can mix my own oils. I don’t need yours. Yes you can. But first you will need to experiment as I have done over the years to find the optimum mix. And unless you are making your own oils and purchasing them from someone you know, you don’t know the quality of store bought ingredients. And in homeopathy, the quality of the ingredients matters. In addition, unless you are purchasing in very large bulk quantities, you will spend a lot more money. I can make the Trich Stop Oil affordable because I am making large quantities. Can this work for me? I’m skeptical of these types of programs. I understand, and that is why I am offering you a no risk guarantee. I really, truly want you to try this method and believe you can have the same success as I did. I am confident this can work for you because it has worked for me and others. And I am willing to guarantee it. If you apply what you find in the manual, and do not see any results within 15 days, then I’ll refund your money 100%. No questions asked. No fine print. If you aren’t happy with the results, then I will give you a full refund. End of story. This means you have a no risk way to try these methods to stop pulling your eyelashes. Do you think that I would offer this no risk money back guarantee if I wasn’t convinced that the Trich Stop Kit will exceed your expectations and can make a huge change in your personal life? Still not convinced? Then have a look at our testimonials to see what experience other trich sufferers have experienced with the Trich Stop Kit. I can find all of this information on the Internet. You could indeed spend time and money reading up on different methods, talking to others and doing the research, figuring out which methods work. Like I did. But why do that when I’ve brought it all together for you in one place as a valuable resource you can use over and over again? I’m a great believer in the power of therapy, if of course, you find the rare jewel of a good therapist that understands trichotillomania. In the meantime, the Trich Stop kit lets you get started right away, in your own home. Our kit is completely compatible with therapy treatments, and often pulls from the very methods therapists use, and can be used as a support. Well, for one, it’s all based on actual results. With all of the mistakes and learning ironed out, so what you get is proven methods designed to help you succeed. And for another – well, I have been there, and have lived the depression, the frustration, and the difficulties. The entire Trich Stop kit is built with you, as a fellow hair and eyelash puller in mind. Perhaps you can. But it will probably take you the same amount of time and resources as it did me. There is no substitute for experience, and I’ve been free from hair pulling for over 10 years, researching how it is to be done and spending a lot of time and money to perfect the Trich Stop hair or eyelash pulling kit you will receive. Yes. Your hair and eyelashes will grow back. It may be thinner than before, but it will grow back. Can I return my Trich Stop Kit if I’m not satisfied? How does the Trich Stop System work? The Trich Stop System works by combining cognitive behavior therapy and all natural homeopathic remedies for hair and eyelash pulling. How quickly will I start seeing the results? As soon as you get started you will experience an immediate curb in your pulling behavior. 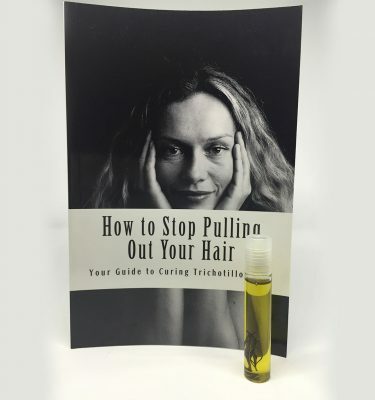 Once you put a few hair and eyelash pulling treatment methods in place and start using the Trich Stop oil you should start to see hair growth within a few weeks. The most important thing is to have knowledge and methods that will allow you to make sure that you are successful for the long haul. I have tried a lot of things, and its been 50 years of pulling. It has stopped as of six weeks ago after using the kit… cant thank you enough. Hi Amy. Thank-you for checking up on me and seeing how I am doing, its feels good to have someone that has faith in me stopping. I am going pretty good. The last two days I have been under a lot of pressure and have noticed myself pulling a little but when I notice I am doing it I try so hard to stop the temptation by distracting myself. Other than those few times, I have not pulled since I have started using this kit. Thank-you heaps again. I have liked the Trich Stop hair growth oil to put on my eyelashes. I don’t always feel like I have something poking me in my eye anymore and I haven’t pulled on them since I got the kit! Here is a testimonial, feel free to post it on your trich-stop website with my pictures. To any trichster who is still looking, I looked for a long time. I will be twenty-nine this year and started pulling in the fourth grade (age 10 years old). Two summers ago I spent over a grand to have someone try to help. It worked for 5 weeks, then I fell apart. I didn’t learn techniques to stay strong, but was given more of a consequence that felt more like willpower than reprogramming my brain. Last year I bought another program, priced at almost a grand, that I couldn’t keep up with, as listening and doing the exercises took me over two hours, and I didn’t have the time to keep up, so I fell apart after about a month. This April (2014), I was hitting bottom, pulling every eyelash and eyebrow I could get my hands or tweezers on. I started lookin again, thinking solutions haven’t worked yet, but I couldn’t give up (as many trichsters feel). I came across this book/oil combination. To be honest, I had glanced at the site before and thought it was too simple to work, as I had read many a trich self-help books before. I obviously came back to it, as I knew I needed help stopping. With Amy being a past puller, reading her book I could see the similar struggles we shared. I told her about how I couldn’t get through more than a month, and how when they were coming through, it felt like the lashes were “teething” and drew me to pulling to rid of the pain, which in turn, sent me back into the pulling frenzy. Between reading an taking notes in the book, doing the simple and single exercise each day, keeping a diary, the oils each night, and taking the vitamins I knew I needed to stay mentally strong, I can say I have been successful with both eyelashes AND eyebrows for 53 days today. Looking in the mirror now, I have learned how to avoid the analyzing in the mirror and practice the exercises daily, bc I know after doing this for 19 years, I need to keep my new thoughts consistent with the goal I have to beat this. Also, the oil has been helpful, bc I notice stroking and not having that need to go up to my face with pincher fingers. It’s a great feeling to not be sitting on the couch or driving home having that urge. And if the thought arises, I switch gears to what I need to be telling myself, thanks to Amy’s book. As simple as it seems, and at the low price, from one trichster who felt beat to another who currently still does, I recommend this combo to read and try. You have nothing to lose, as she has her money back guarantee. Yes, I was one who thought it would define me for my life and I’d have to get used to it, but I’m glad I got into this book and can now look someone in the eyes without having to feel awkward and ugly. Thank you Amy and thank you still for the continued support 53 days later. This is more than a book, but someone who is in your corner.